Looking for easy mother's day crafts or mother's day activities for preschool kids? We have curated 20 easy mothers day ideas for preschoolers. You will find here lots of easy mother's day handprint crafts, flower crafts, paper plate crafts, mother's day cards, and some simple preschool mothers day gifts. Follow our MOTHER'S DAY CRAFTS board on Pinterest for more cute ideas!! Flowers are always a great gift for mothers, teachers and other loved ones. It gets even better when they are handmade flowers by kids. And, the awesomeness increases if the gift is a bunch of them :). Here are some really simple and beautiful flower bouquet ideas that preschool kids can make. If you love using paper plates for crafts like me, then I'm sure you will love these adorable and simple paper plate craft ideas for mother's day. Spring is in the air! The season of butterflies and flowers is here. Welcome spring by making these adorable and easy butterfly craft for kids. Kids love butterflies and would enjoy making some of their own. These simple butterflies are made using cupcake liners and other basic craft supplies. This butterfly craft is perfect spring theme arts and crafts activity, but you can make them any time of year. If you're looking for butterfly craft preschool kids can make, this is a simple yet beautiful butterfly project for them. 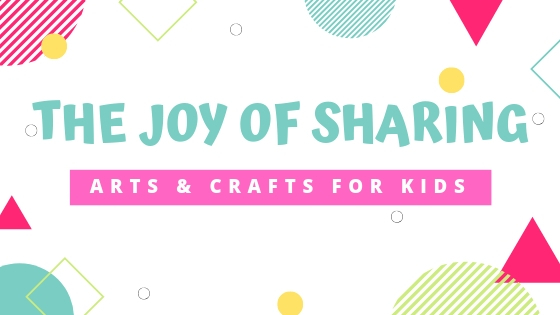 This is a super cute kids project for butterfly theme arts and crafts for children. My daughter turned four last month and she was super excited to celebrate her birthday with friends at school. So, we made these thank you custom tags for the goody bags that she gave them. I left a little section empty on the tag for my daughter to personalize these tags with her name. Love that she also added a little heart on each tag for her friends. Thought of sharing these cute custom gift tags on the blog for my readers. If you're looking for party favor tags, you can download our free printable and details on how to make these gift labels for party favors below. Also, if you're looking for any custom designs, leave a comment below and we will try to add those custom designs to our free printables library. Easter is here and so are the cute bunny crafts that you can make with your preschool or kindergarten kids. With funny ears, teeth and eyes, bunnies are every kid's favourite animal. They make for a variety of teaching moments - such as chewing food properly or being happy no matter what. Here are 24 easy and cute Easter bunny ideas you can make to celebrate Easter. In fact, you can actually make a bunny or rabbit craft at any time of the year. Happy crafting this Easter. Give your kids the gift of creativity. FOLLOW OUR EASTER BOARD ON PINTEREST FOR MORE IDEAS. Paper Plate Crafts are my favourite. Paper plates are such a versatile craft material and so easy to find at home. So, grab a paper plate and find a paper plate bunny craft inspiration below. I'm so excited to share with you this cute Bunny Puppet Craft made by Delzin. This is a fun Easter craft to make with preschoolers, kindergarten or first grade students. It is also a playful activity for an animal theme lesson plan for preschool and kindergarten. It also makes up for a good habit craft activity teaching young children about the importance of chewing their food properly before swallowing it. With it's funny looking face and eating animation, it's bound to evoke a bunch of laughs from your class. Happy chomping! Busting the Tooth Fairy Myth, or Not? As my 6-year old brushed his teeth this morning, I stared into the hole in the middle and asked, “Why have your teeth been missing for so long?” He smiled his foamy mouth and quipped, “The tooth fairy just took them, you know!” Um.. as if someone was supposed to bring them back as well. There was a slight pang of guilt in me as I had previously fed into the myth of the ‘Tooth Fairy’. Not that it is a dangerous thing; just a bit of lie! And it needs being fed with more ridiculous lies to quench the curiosity of little minds.